In our article Valiant Heat Powered Stove Fan published back in 2012 we reviewed the FIR300 Self-Powered Stove Fan from Valiant and showed how this device can help increase the temperature in the room being heated by a logburner or multifuel stove. The reviewed FIR300 stove fan is pictured above on the left next to the new PremiAIR 4″ Stove Fan (FIR361) also from Valiant which we will soon be reviewing in detail. 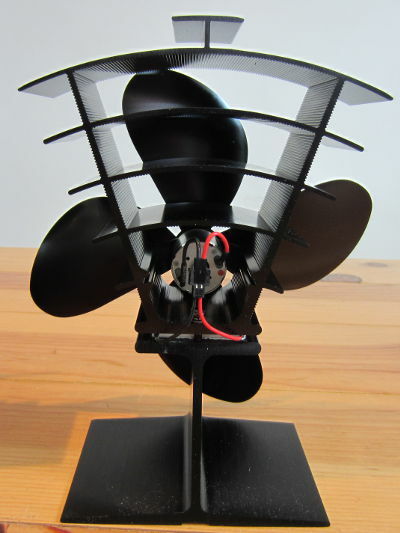 The immediately obvious differences are the four blades instead of two which should increase the air flow, a new motor, and a more compact design with the motor housed within the heatsink rather than protruding out from it. The heatsink on the new PremiAIR 4″ has a larger surface area with a new design for faster heat dissipation. Therefore more power should be available to the motor by the seebeck effect increasing the effectiveness of the stove fan. When reviewing the FIR300 stove fan, we used an accurate digital thermometer and manually logged the temperature in the room minute by minute. For our FIR361 review we will put together a multi-sensor datalogger using a Raspberry Pi and/or Arduino to collect much more data for analysis so that the effectiveness of the fan can be judged – one sensor at sofa height, one at ceiling height, one close to the stove, etc. 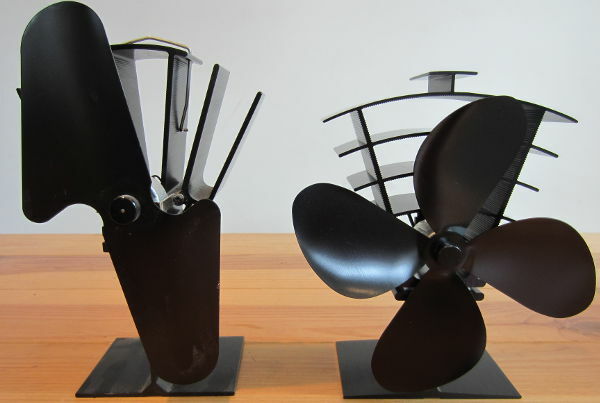 UPDATE JAN 2014 – We have now published our detailed article: Valiant PremiAIR 4 Heat Powered Stove Fan Testing on the REUK website. In the end, rather than building another SD Card Datalogger for this project, we used a Raspberry Pi Model A+. We will be publishing a detailed article in the coming months on how we programmed and set up this datalogger (including the source code), and also how viewed the data in real time through a mobile phone browser.